There has never been a better time for impact investment in Indonesia than now. Impact investing refers to commercial investments in companies that have a large social or environmental impact. This article will explain that Indonesia offers an estimated USD 23 billion in impact investment opportunities over the next 5 years. Whether investments are impact or non-impact driven, the underlying fundamentals of Indonesia are staged for growth. The GDP is expected to grow at over 5% per year until 2030. 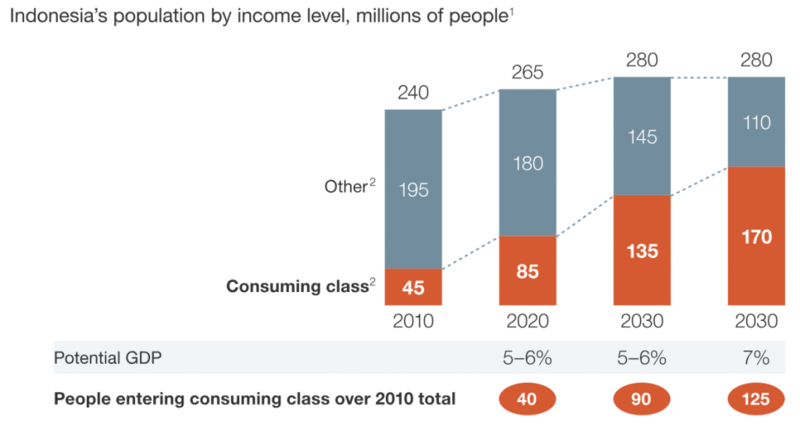 McKinsey forecasts that 90 million Indonesians will join the middle classes until 2030. This consulting firm also projects an 11% growth per year for consumer spending on financial services and savings. To regulate this growth, Indonesia established its Financial Services Authority as recently as 2011, with the launch of its digital financial services directorate in December 2016. Internationally, impact investing is a growing type of investment. Warren Buffet’s news company BusinessWire recently cited the latest impact investing annual report for 2017. The report concluded that the impact investing market is expected to grow from an estimated value of USD 135 billion in 2015 to USD 307 billion by 2020, at an annual growth rate of 18% from 2015 to 2020. This is faster than the growth of investing overall. Little to no mention is made in the report about Indonesia. According to McKinsey & Co, it is likely to be the world’s 7th largest economy in 2030. This is only possible with consistent growth. Indeed, since 1980, Indonesia has demonstrated the most consistent (stable) growth of any economy. Indonesia today is the 4th most populous country and the 16th largest economy in the world. … allowing an estimated 90 million Indonesians to join the consuming middle classes through to 2030. The threshold income of ‘consuming’ and ‘other’ classes is USD 3600 p.a. Where does Indonesia stand in this growing market of impact investing? This article attempts to explore the size and potential of impact investing in Indonesia. I write ‘attempts to’ because the data and information are scarce. Nevertheless, as CEO of one of Indonesia’s leading peer-to-peer lending platforms https://mekar.id with the ambition to establish Indonesia’s first impact investment fund with Putera Sampoerna (a bio can be found at the end of this article), I want to get to grips with the size and potential of this market. 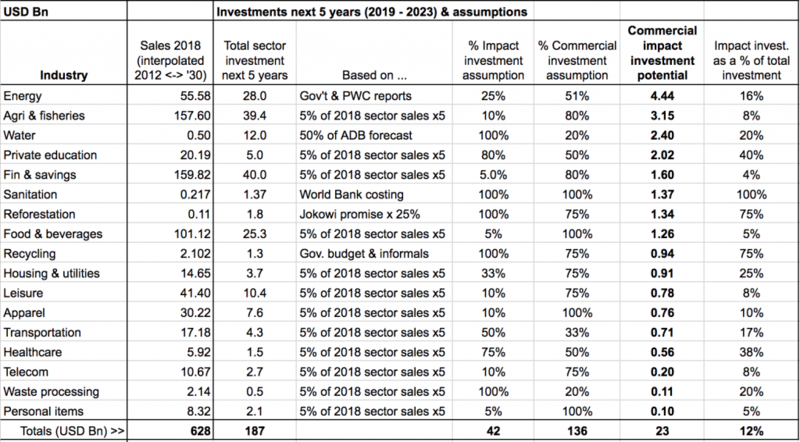 I’d like to share my findings with you and in return I encourage readers to recommend improvements so that this can become an annual update on the state of impact investing in Indonesia. In short, Indonesia offers USD 23 billion in impact investing opportunities over the next 5 years. This article will examine the opportunities in every sector of the economy. It will not mention specific companies that the Mekar Impact Fund intends to invest in. I do however welcome readers who are interested in investing to request a copy of the prospectus via impactfund@mekar.id. What is impact investing in the Indonesian context? In short, impact investing is about investments made in commercially viable businesses that have a positive impact on the livelihoods of large communities of people. This can be social investments in education, water supply, sanitation or healthcare, and can also be in activities that have a positive environmental impact like in renewable energy, tourism, recycling, sustainable agriculture, fisheries, and more. In the Indonesian context I define impact investing simply as ‘improving the quality of life in Indonesia, profitably’. Indonesia faces its own challenges. It is the world’s largest archipelago, with some 17,508 islands stretching 5721 km from East to West. That is considerably wider than the United States of America, albeit interspersed with sea. Indonesia has the world’s largest geothermal potential. There is fertile land and an abundance of natural resources. Indonesia is culturally rich and diverse with over 200 languages and 700 dialects. As you can imagine, in this archipelago, it is an immense challenge to ensure that a newly harvested crop in Papua can make its way to a supermarket in Jakarta some 2000 km away. Challenging also is getting a pair of shoes that was ordered on one of Indonesia’s growing e-commerce sites from a Jakarta warehouse to a customer in Aceh; even more difficult is to guarantee a free returns policy if those shoes weren’t the right size or colour. Indonesia is a massive logistical challenge. Solving logistics is therefore key to improving the income and quality of life for Indonesians living outside Java. It is also essential to keeping the country together. Yet an investment in logistics isn’t usually considered an impact investment; in Indonesia it definitely ought to be. This problem is similar in the financial sector where 60% of the adult population (20-65 years old) has a bank account. So helping the 40% unbanked adults get a bank account is important for ensuring that the poor can receive cash grants from the government, or to simply help people save money or get insurance and to make payments. Many Indonesians with a small business, without a bank account or collateral, will have to resort to borrowing from informal lenders or loan sharks who will charge about 15% interest per month. As much as 20% per day is often charged to stall holders at traditional markets. Small businesses lack alternatives. Only a paltry 20% of the country’s 55 million businesses have access to formal bank finance. Financial inclusion is therefore an imperative. This inclusion means getting people into the formal financial system. This can greatly improve the incomes and lives of the unbanked in Indonesia. Mekar, the company that Putera Sampoerna and my team have built, works daily to alleviate this financial inclusion challenge as does his bank, Bank Sampoerna. Other sectors that aren’t usually part of the typical impact investing definition are in agricultural efficiency, import substitution and transportation. Many farms see their crops peter away after harvest because they have no storage, processing or way of getting them to market. Import substitution investments are important as well, and the salt business is a good ironic example. Unilever and Indofoods in Indonesia get most of their salt by importing it, yet this country has one of the biggest coastlines in the world. Transportation is another ‘quality of life’ issue in Indonesia. With its 130 million cars and motorbikes, it is still adding around 6-7 million new vehicles to its roads each year. Investments to streamline the sale of used vehicles or investments in public transportation are clearly also an impact investment in this country of congested streets. These domestic challenges mean that impact investment for Indonesia needs to be looked at through a slightly broader lens. Who is doing impact investing in Indonesia? 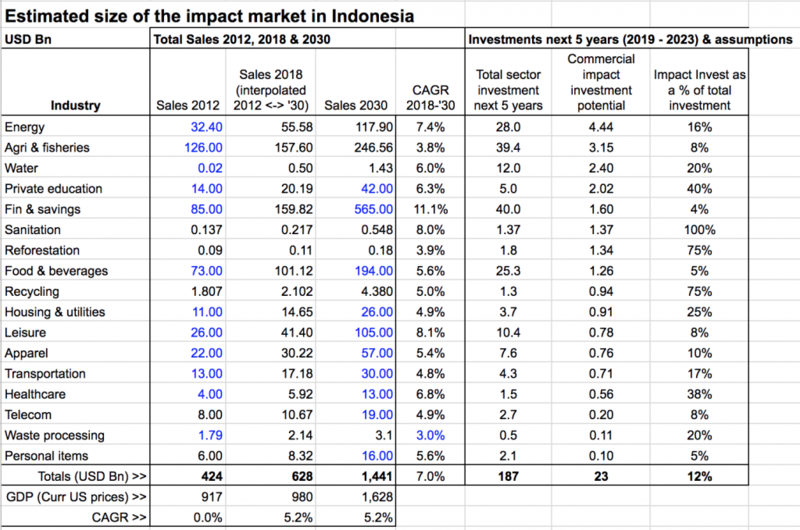 There are currently no impact investment funds in Indonesia. However there are several overseas-based funds that invest in Indonesia. Based in Indonesia are three angel investor networks that do impact investments. Angin Angels, Angel-EQ and Kinara invite their investors to invest in social enterprises. Also based in Indonesia are a larger group of financial institutions that finance small businesses, but not with an impact focus. The largest by far is Bank BRI, maybe the largest financier of small and micro businesses in the world. Other banks in this area are Bank Sampoerna and Indosurya Finance mainly focussing on SME finance. Among the largest microfinance institutions (MFIs) are Koperasi Mitra Sejati, Komida, MBK Ventura, Koperasi Usaha Mandiri and Bina Artha Ventura. In the online P2P lending space there are companies like Mekar.id, Amartha.com and Tanifund.id. In summary the majority of the Indonesia-based institutions focus on micro-credit style lending, which mainly aims to help finance the unbanked. The MFI total loan book assets are approximately USD 650 million, excluding the Bank BRI portfolio. Based overseas, but investing in Indonesia are Aavishkaar Frontier Fund, IIX Global, Capria, Patamar Capital, Triodos Asset Management, C4D Partners and Root Capital. The largest fund though is Tropical Landscapes Finance Facility (TLFF) established in 2016 by ADM Capital, BNP ParisBas, ICRAF and UNEP. This fund recently invested USD 95 million in a joint venture between Michelin and Barito Pacific for sustainable rubber plantations. This is the first of several transactions that TLFF intends to make. TLFF is seeking investment opportunities in reforestation, renewable energy and sustainable agriculture. TLFF has documented their vision for an Indonesian Green Economy. For a full overview of players in the Indonesian social entrepreneurship space, here is a recent overview made by Angin. Estimating the size of impact investment in Indonesia is not easy. It is an exercise in guesstimating. Nevertheless, the Mekar Team have found various data sources, some new, some outdated, some based on news articles and others based on government announcements. The assumptions, method and sources used for my conclusions can be found below. Mekar welcomes any improvements or better sources of data. Over the next 5 years Indonesia will need and can certainly absorb USD 23 billion in impact investments. Some of these investments are already happening, in agriculture, energy and transport, and may not have been labelled as an impact investment. In this same 5 year period all the sectors listed below will also need more than USD 180 billion in investments in the form of commercial ventures and public private partnership (PPP) projects. This 5 year investment value is equivalent to 18% of Indonesia’s GDP in 2017. The Mekar Team estimates are conservative as in reality the size of actual investments over the next five years is likely to exceed this. The impact investing value over the next 5 years will probably exceed 2% of the 2017 GDP. 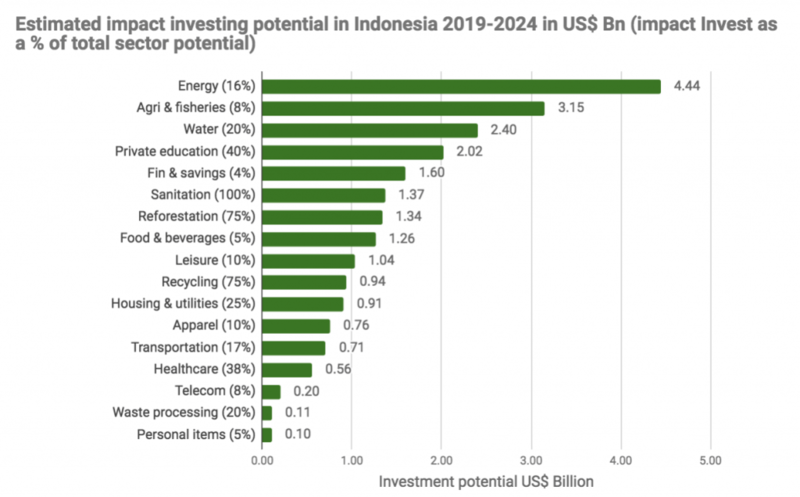 Also, far more impact investments are likely and definitely needed if Indonesia wants to overcome its challenges in water, energy, waste processing, infrastructure, etc. The TLFF Fund even estimates that Indonesia needs some USD 50 billion over the next 10 years. However, I do not think that this much capital will materialise. Source: the estimates are described in the ‘assumptions’ section per sector of industry. Each sector’s potential is described below, which includes an explanation of the estimation assumptions. Broadly speaking, a large part of this analysis is based on the 2012 McKinsey & Co. report ‘The Archipelago Economy: Unleashing Indonesia’s potential’ which concluded that consumer spending in various sectors would account for USD 1.1 trillion by 2030, making Indonesia the 7th largest economy. McKinsey concludes that the two main things needed to achieve this level of growth are a 60% increase in labour productivity and a related massive investment in improving labour skills through education. To the McKinsey sectors the Mekar Team have added several B2B sectors like agriculture and fisheries as well as sectors that contribute to social and environmental impact, like energy, sanitation, reforestation, water, recycling and waste processing. The estimated sales of all sectors combined in 2030 is USD 1.4 trillion. To arrive at the investment forecast per sector we looked for estimates in expert reports. If no data was available we assumed that 5% of any sector’s sales would be reinvested. This is conservative since each sector is likely to grow sales by 5% or more each year. The Mekar Team then estimated the commercial investment potential. Sectors like personal items will get most investments from commercial sources, whereas the transportation sector will receive large state-backed investment contributions. Subsequently we estimated the proportion of the commercial investment capital that is likely to be geared towards social or environmental impact. The impact investment potential is therefore only seen as commercial, not state investments. The table at the end of this article shows a full overview of the assumptions. The sectors are covered from largest to smallest by impact investment potential. 7.4% sector annual sales growth rate. Indonesia is one of the world’s fastest growing countries in terms of energy consumption. Where currently industry consumes 36%, transport 28% and buildings 24%, in 2030 industry will consume roughly 44% of all energy. This growth will mainly come from the cement, paper, aluminium and ceramics industries. Today 11% of the energy supply is from renewable sources. By 2030 IRENA anticipates that renewables will represent 28% of power generation, with geothermal showing the largest growth, from 5% today to 10% in 2030. Indonesia is the country with the largest potential of geothermal energy resources. Hydropower is expected to then generate 2% and other renewables like solar and wind, together generating 1% in 2030. To meet national electricity demand the government needs to implement plants that will generate an additional 35 GW by the end of 2019. This target is unlikely to be met as PWC concludes in a survey of top stakeholders in the sector. Interestingly the PWC survey makes no mention of energy efficiency, for example in air conditioning applications. Demand for electricity is surging. In 2016 the per capita consumption was 0.96 MWh/capita, up from 0.81 MWh/capita only 2 years earlier. By 2030 this consumption will be well over 2 MWh/capita which will bring Indonesia’s consumption of electricity in line with Vietnam, but still less than Thailand and Malaysia’s consumption in 2014. In 2014 these three countries consumed 1.44, 2.54 and 4.65 MWh per capita respectively. To make the challenge even greater, in order for Indonesia to comply with the Paris Climate Change Agreement it has vowed to generate 23% from clean energy sources by 2025 and 31% by 2050. This is up from 11% today. At the Paris COP21 meeting Indonesia agreed to reduce its current CO2 emissions by 29% by 2030 and 41% by 2050. The underlying message is that there is a massive need for more (clean) energy, the targets have been set, but the government can’t meet them without attractive incentives for private investors. According to 30 directors and managers in the power industry, mainly from the private sector, the main issues were funding (67%), adequate tariff levels (67%), adequate manpower skill levels (57%), commission for new capital projects (50%), maintenance (47%), rural electrification (33%) and power loss (10%). None of these managers saw emission reductions as a priority. To tackle the funding issue, the government has agreed that 18 GW (51%) of the 35 GW needed should come from privately run plants financed commercially. Government Regulation (PP) No. 12/2012 is designed to enable private investments. It allows private companies to generate electricity from their plants for up to 30 years. The government though is very hesitant to award such licences to private companies, so it has to be seen if private investments will be forthcoming. On the renewable energy front IRENA estimates that a USD 16 billion investment will be needed until 2030 to achieve the renewable energy targets. In Mekar’s team discussions with developers of renewable energy projects there seem to always be three main challenges: (i) the willingness and complexity of getting a licence from PLN (the state electricity company) to be able to generate clean power; (ii) the likelihood that regulations may change during the life of the project; (iii) the height and predictability of feed-in tariffs awarded by PLN to these power purchasing agreements. There is clearly a large demand for renewable energy (RE) investments and there is certainly a need for them. The question remains whether an RE project can survive until the end of the payback period of 7-10 years with the unpredictabilities created by PLN. Energy efficiency projects where for example air conditioning systems of buildings are replaced with more efficient systems reducing the overall electricity bill for the building. The electricity needed for air conditioning in warm climates like Indonesia sometimes makes up 60% of a building’s electricity bill. Indonesia is abound with clean energy investment potential, yet to make it work beyond the payback period, investors would be advised to work closely with local partners that have good relationships with PLN. To estimate the impact investment opportunity in renewable energy and energy efficiency in Indonesia for the next 5 years, the Mekar Team has taken IRENA’s estimate of USD 16 billion required in investments until 2030. We divided it by 18 years and multiplied by 5 years to get USD 4.4 billion. The growth of the agriculture sector has lagged behind the overall growth of the economy. The agriculture sector in 2014 represented 14% of the GDP, employing 40 million people or 33% or the labour force. With government policies prioritising other sectors it is unlikely that agriculture sector growth will surpass the average 5% GDP growth of the economy as a whole. To be able to feed Indonesia’s 280 million inhabitants in 2030, McKinsey estimates that agricultural productivity needs to increase by 60%. This can be done by increasing yields, but it can also be achieved by reducing post-harvest losses; by improving storage, packaging, processing and transportation logistics to the main cities and harbours. An estimated 50%-70% of harvested crops never make it to market. In fact Indonesia is the 2nd largest ‘waster’ of food in the world, wasting 300 kg of food per person per year. According to The Economist Intelligence Unit in 2016, only Saudi Arabia fares worse than Indonesia. The inefficiencies in the agricultural sector are not harmless. The main reason why 70-90 million Indonesians will remain below the poverty line in 2030 is the high cost of food. The financial sector and the government aren’t helping. Almost all banks and insurance companies except BRI and ACA have an undocumented policy to avoid providing loans to businesses in the agriculture and fisheries sector. Having said this, the central bank (BI) and Financial Services Authority (OJK) actively encourage banks and financial institutions to lend more in this sector, with little voluntary success so far. The government will regularly (usually before Ramadan) fix or subsidise food prices for products such as rice, soya and beef, making it difficult for farmers to plan ahead. Another common issue is that the government will not meddle with cartels which artificially rig prices. For private investors it is critically important to stay clear of commodities with a high degree of government intervention. Opportunities lie in horticulture, fruits and spices. Opportunities for impact investing therefore lie in (i) reduction of post-harvest losses and better storage of crops and seafood; cold storage for example; (ii) efficient aggregator companies and better transport logistics; (iii) supporting the growth of organic crops and sustainable fishing; (iv) use of agricultural waste for compost or energy production; (v) reviving the productivity of degraded land. In short, investment in supply-chain solutions is the overarching need. A different type of agricultural investment opportunity can be created for smallholder farmers or fishermen by financing via (credit) cooperatives. Many small holders and fishermen are organised as cooperatives. The cooperatives sell the harvest of its members to offtakers like factories or traders. In the case of palm oil, the plantation usually has a factory that processes the palm oil fruit from the plantation, but it also offers to buy up palm fruit from surrounding farmers who grow oil palm. These so-called ‘outgrowers’, or their cooperatives, can get loans for the farms, often on condition that the plantation factory pays off the loan when the farmers’ palm fruit has been delivered. This kind of offtaker-outgrower arrangement is often done by conglomerates like Sinar Mas that own both a bank and the oil palm plantations. The majority of smallholder farmers and fishermen, however, cannot get access to this form of ‘offtaker’ finance. Developing and structuring such arrangements, possibly with insurance, can boost financing for smallholder farmers or fishermen. An examplary fisheries investment, is the investment made by the Aavishkar Frontier Fund in a fish processing factory on Sumbawa owned Bali Seafood International (BSI). BSI sells sustainably caught fish with the Marine Stewardship Council (MSC) label to buyers in Europe and New York. MSC fish fetch a higher price in the west than normal fish. BSI’s provides fishermen with an alternative buyer for their catch. BSI informed me that the fishermen want three things to improve their quality of life: doctor’s clinics, better schools and enough money to own their own boat. Most fishermen rent a boat at high prices to go fishing, often the boat owners are also the buyer of fish. The price of fish and boat rent are set by the trader/boat owners. With the BSI plant it now becomes possible to create an offtaker-loan arrangement as described above, so that fishermen can borrow money to buy their own boat. Small boats are sold for USD 1000 to USD 4000. The Mekar Team estimates USD 3.1 billion in impact investments over the next 5 years. The agriculture sector’s gross sales were estimated by taking the ADB’s 2012 Agricultural GDP data and compounding it until 2030 using the ADB and World Bank’s forecasted growth of 3.8% p.a.. The resulting agriculture sector revenues of USD 250 billion coincide with McKinsey’s calculations for 2030. The authors derived the 2018 spending by interpolation, then assumed that 5% of the 2018 spending would be reinvested in the sector for 5 subsequent years. 80% of this investment is assumed to be commercial or private investment, not state investment, and 10% is assumed to have an impact focus. This is a larger percentage than the financial sector since post-harvest loss mitigation and logistics investments are included as impact investments. 6% sector annual growth rate, similar to national GDP growth. The Asian Development Bank (ADB) expects 65% more water to be consumed in Indonesia in 2050 than in 2016. So far the ADB has invested around USD 33 billion in developing water resources in Indonesia. Soon it will approve another USD 13.5 billion for hydropower generation, water resource management, flood management, irrigation and drainage, water supply and sanitation and waste management projects. In October 2017 the Supreme Court of Indonesia ruled against the government’s policy of privatising the water supply. This made it difficult for investments by large scale players, but still kept the door open for vendors and for smaller local projects. Several foreign companies were affected by the Supreme Court’s ruling. The residents of Jakarta, one of the world’s largest cities, probably have the best access to piped water in Indonesia. According to Royal Haskoning, a Dutch engineering firm in Jakarta, the city needs 25 cubic metres of water per second or 2 billion litres per day. However, the municipality can only supply 18 cubic metres per second, of which 40% is lost due to leakage. So 43% is supplied by the municipality and the rest is pumped up from groundwater via private wells. This massive demand for groundwater has caused sea water to enter the groundwater under the city as far as 10 km from the northern sea shore. It is also causing the city to subside by an average of 8 cm per year on the northern coast. Some 4 million people will need to be evacuated before 2030. Royal Haskoning estimates that USD 3 billion is needed to improve water infrastructure and supply in Greater Jakarta over the next 10 years. The Asian Development Bank, in their 2015 ‘Country Water Assessment’ estimates USD 24 billion is needed nationwide to build and improve water reservoirs and other infrastructure to provide for the growing demand for water. With the Supreme Court ruling against privatisation, the question now is whether the government, aided by large multilateral loans from the ADB, can provide the required 65% increase in water supply. In the meantime the water bottling companies like Danone’s Aqua, Nestle, Cleo, etc, are seeing demand increase for plastic bottled drinking water. The majority of investments needed in water will be managed by the state or municipalities with large scale investments. Nevertheless, there is still a large opportunity for vendors of water filtration systems, reverse osmosis and desalination plants for housing estates, islands, resorts and office towers. These locations will need to organise their own water supply if the municipalities are not delivering. Supporting far-flung communities with better rainwater harvesting systems would help. Also, companies that build reservoirs, dams and pumps can expect to grow via government contracts. The ADB expects Indonesia will have to invest around USD 24 billion in water supply and processing facilities over the next five years. Due to the Supreme Court ruling banning a privatised water supply, there will be less commercial financing interest. We therefore assume that only 50% or USD 12 billion will actually be invested overall, of which probably only 20% will be commercial investments. This brings the total opportunity for private investments in water to approximately USD 2.4 billion over the next 5 years. We have classified all these investments as impact investments. With a growth rate of 6% per year and over 10 million students currently enrolled, private education spending is projected to nearly double by 2030. Universities like Binus, Podomoro and Sampoerna are banking on this growth. So too are franchises of kindergartens and a diverse group of vocational training schools. Besides the Sampoerna University, the Sampoerna school system has established a franchise of secondary schools and specialist vocational training courses. It aims to develop STEM (science, technology, engineering and maths) graduates giving them the opportunity to get a US degree while studying in Indonesia, at Indonesian prices. Private schools like these are targeting the growing middle classes that cannot afford to send their children abroad. Many parents are seeking better education for their children than is available at state schools, but they want it to be on Indonesian soil rather than overseas. McKinsey suggests that education is probably the most important factor hampering Indonesia’s social and economic development. The lack of skilled labour always features at the top of management surveys in almost any industry in the country. At the same time the government makes the recruitment of foreign skilled workers, to temporarily fill the skills gap, extremely difficult. Illustrating the education challenge in numbers: of the 72 countries and economies reviewed every three years by the OECD, in 2016 Indonesia ranked 62nd, a slight improvement compared to 2013. Indonesian students ranked the second lowest in the 2013 PISA ranking (71st), worse than their ranking in 2009, when Indonesia ranked 57th. Other issues are the lack of teachers, and the high drop-out rate due to economic and financial issues that the children’s families face at home. The challenge is enormous. Labour productivity needs to increase by 60% in order to maintain a 5%+ rate of economic growth. This requires better skilled staff, possibly via vocational training if primary and secondary schools are lacking in quality education, or through a more innovative organisational culture as described in an earlier Mekar publication. As long as public education is lacking in quality and unable to meet the demand, private schools from kindergarten to tertiary education are needed to fill this gap. Almost any investment in the field of education can be seen as an impact investment as long as demand for skilled labour outstrips supply. A recent internal Sampoerna study showed that the demand in Jakarta alone for middle-tier pre-schools that teach some English is almost double the number of places currently offered. Offering more pre-schools will also help ambitious and well-educated mothers find more time to join the labour market. Ramping up quality vocational training is another means to increased skilled labour in the short term in positions with many unfilled vacancies in areas such as software development, online marketing or even project management. Another opportunity lies in e-learning programmes or providers that allow schools to offer accredited educational content over large distances, while being supported by coaching-teachers based locally. The Mekar Team assumes that there is room for USD 2 billion in investments in private education in Indonesia. This impact investment opportunity is based on the McKinsey forecast for private education sector spending in 2012 and 2030 (2012, p10). The authors derived the 2018 spending by interpolation, then assumed that 5% of the 2018 spending would be reinvested in the sector for 5 subsequent years. 50% of this investment is assumed to be commercial or private investment, not state nor donor investments, and 80% is assumed to be an investment with a social impact. The financial sector in Indonesia is undergoing fundamental changes with the advent of new financial technologies like agent banking, alternative credit scoring, digital identity, digital signing, blockchain and new payment technologies. Over the last two years, 49 startups registered as new online lenders with the OJK, the Financial Services Authority. The OJK issued a new ‘FinTech’ regulation in December 2016 to create oversight for these new financiers. Furthermore, the Indonesian banks like Mandiri and BCA have set up VC funds to acquire new companies that fit in with their fintech strategies. 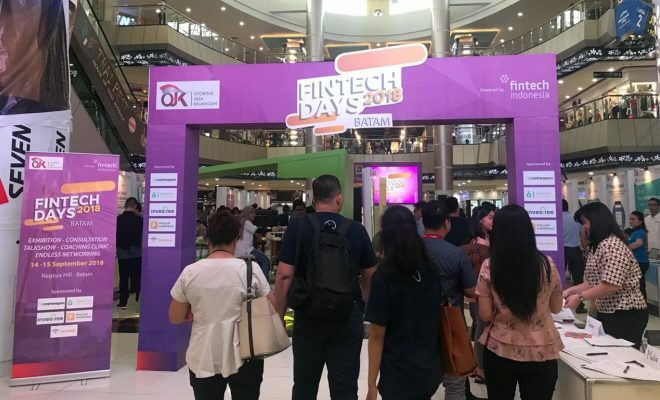 Chinese investors are shopping intensively in Jakarta for fintech companies. This has been enabled largely by the inspiration from pioneers like Prosper, LendingClub and PayPal; but also by the 50% annual growth in the e-commerce sector in Indonesia, which itself has been enabled by the massive growth in mobile (over 150%) and smartphone (42%) penetration. McKinsey forecasted an 11% compound annual growth rate (CAGR) for finance and savings sector spending over the 2012 to 2030 period, making it the largest area of consumer spending in the Indonesian economy. The McKinsey study was published in 2012 assuming an average GDP growth of 7%, that needs to be revised down by 2% to the current growth rate of around 5%. Still, a 9% CAGR for the finance and savings sector is impressive. About 60 million adults, or 40% of those between the ages of 20 and 65, have no bank account. The good news is that about 50% of them have a mobile phone which creates possibilities. Nevertheless, for now, not having a bank account creates many obstacles for lending, savings and insurance. It also hampers the government’s direct cash transfers to the poor. This financial exclusion creates unnecessary time and transaction costs. It severely limits the ability of small businesses to grow, since only 20% of the 55 million businesses have access to formal finance. Developing and extending financial services for the un(der)banked probably represents the largest commercial impact investment opportunity that the Indonesian economy has to offer for the next five years. However, the challenge is not the money. In principle there is enough international and domestic wholesale finance available to finance micro and small businesses. The main challenges lie in everything else that is needed to make the financing happen. These are the deployment of efficient digital identity systems and regulations, efficient KYC (‘know your customer’) approval, access to creditworthiness or credit bureau data by the growing number of non-bank financial intermediaries (NBFIs). Other challenges are more organisational in nature. Many of the unbanked are members of savings and credit cooperatives, but these cooperatives are often poorly administered and face financial, governance and fraud issues making it difficult for external funding to be deployed through them. At the government or regulatory level there are risks related to the mismatch of regulations and the speed of regulation implementation between the Central Bank (BI), the Financial Services Authority (OJK) and the Ministry of Communication and Information Technology (Kominfo) where, for example, 15 years ago, the decision was taken to introduce digital identity and digital signing policies. It still has yet to be implemented. In a country with a wide geographical spread like Indonesia there is no way that financial services can help the unbanked if the financing is still a paper-based process. Smartphone based financing is clearly the way forward, and bringing more people online will help to overcome the difficulties of distance. Opportunities for impact investment lie in the well-established wholesale funding of NBFIs, such as the better organised credit cooperatives or online lenders, like Mekar. Sizeable yet more fragmented investment opportunities lie in offering banks and NBFIs systems, apps and digital tools to smoothen and speed up the client onboarding and verification processes to offer them loans, savings or insurance. Much of this work is still paper based. Examples are apps that help loan applications, biometric tools, ID validation, loan origination systems and cloud-based core banking systems. Also e-wallets, POS systems and simple payment processing solutions are needed. Seemingly non-financial companies like Meridia which helps farmers survey and register their land are crucial to allow farmers to formalise their land titles, thus creating farm collateral for a loan. In other words, the new opportunities lie in all the tools needed by established NBFIs to help someone far afield to get a loan, to be able to save, or to get insurance. 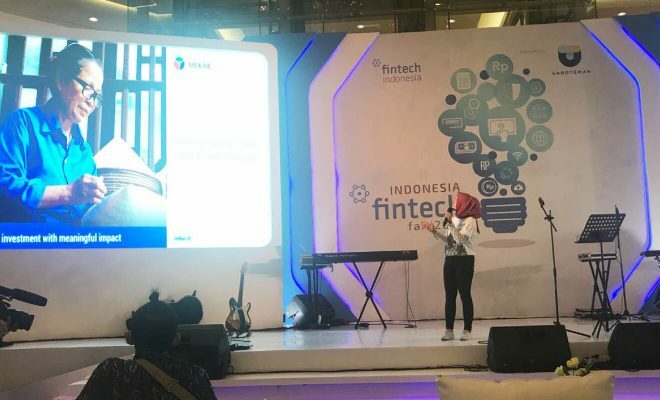 The Indonesian FinTech association is successfully engaging a community of startups in this area. The USD 1.6 billion impact investment opportunity is based on the McKinsey forecast of financial sector spending in 2012 and 2030. The Mekar Team derived the 2018 spending by interpolation, then assumed that 5% of the 2018 spending would be reinvested in the sector for 5 subsequent years. 80% of this investment is assumed to be commercial or private investment, not state investment, with 5% having an impact focus, including micro-financing. 8% sector annual growth rate. Access to sanitation facilities in Indonesia has increased from 35% in 1990 to to 61% in 2015. The government has realised that it cannot provide sanitation facilities for free to the growing population. Instead, with the support of aid organisations like USAID, low cost micro-loans are being offered to the poor to buy sanitation facilities. These are distributed by the credit cooperatives that provide the loans. Over the past five years, the USAID-funded Indonesia Urban Water, Sanitation and Hygiene (IUWASH) project has helped more than 300,000 people gain access to improved sanitation. The project has achieved this by partnering with a local cooperative, KPP-UMKM Syariah, to provide microfinance services to local families so they can build safe and hygienic bathrooms. These sanitation loans mean that a family would have to pay around IDR 66,000 (USD 4.7) per week for three years. Other credit cooperatives like Koperasi Mitra Dhuafa (Komida) with over 1 million female borrowers and Koperasi Usaha Mandiri have also started offering ‘loans-for-toilets’. The lack of toilets for over 35% of the population clearly leads to increased illness and death. In 2006 when the financial cost of poor sanitation was last estimated for Indonesia, the World Bank estimated that the country lost an estimated IDR 56 trillion (USD 6.3 billion) due to poor sanitation and hygiene, equivalent to approximately 2.3% of GDP. At the time approximately 45% of the population had no access to sanitation facilities. The main costs were illness (diarrhoea, malnutrition and premature death), water pollution, loss of tourism income and environmental losses. Improving sanitation for those who lack it would bring financial benefits to health, productivity, clean water, time saved going to toilets; but also has other spin-offs like organic fertilisers and biogas if bio-digesters are used. In order to bring sanitation facilities to 73% of the population or an additional 25 million people, in 2004 the World Bank estimated that 2.1 million additional rural people and 170,000 new urban households would need to gain access to sanitation facilities per year for ten years. The investment in materials, not labour, would be around USD 274 million per year or USD 2.7 billion over a 10 year period. Since almost all of the materials can be made locally, this would directly benefit the local economy by roughly twice the material bill. So far investments in this sector seem to be best channeled via credit cooperatives that are in direct contact with the poor and the unbanked population who often also lack proper toilet facilities. The rates charged today for such loans are at around 20% interest per year in IDR, which translates to about 4%-6% p.a. in USD terms for the investor. The investment needed is assumed to be USD 274 million (World Bank, p.45) in materials and an equivalent amount in labour for installation and maintenance. This comes to USD 548 million per year for 5 years, or USD 2.7 billion in total. However, historically, actual investments have been far lower than the investments required. So we assume that actual investments are probably only going to be half the required investment needed. Therefore, the Mekar Team estimates the sanitation investment potential at USD 1.3 billion. 3.9% sector annual growth rate. First the bad news: Indonesia is losing around 1.7 million hectares of tree cover every year. However, the good news is that President Joko Widodo’s moratorium on illegal logging and election campaign promise to plant 2 million hectares are turning the tide today. Global Forest Watch reports that from 2001 to 2016, Indonesia lost 23.1 million hectares of tree cover, equivalent to a 14% decrease in tree cover since 2000. This is equivalent to 2.32 Gt of CO2 emissions. It also reports positively that from 2001 to 2012, Indonesia gained 6.97 million hectares of tree cover equal to 8.6% of global total. Yes, when things happen in Indonesia the numbers are always huge. Yet the reforestation effort is not enough to stem the tide of forest loss. In 2001 74% of Indonesia was covered by trees, by 2010 it dropped to 68%. About 60% of that was natural forest, 8% was plantations and the remaining 32% was ‘non-forest’ tree cover. While there are several donor or charity driven reforestation projects (described below), the vast majority of funding for the reforestation necessary to reverse the loss of trees will most likely have to come from private investments. To get to a situation where tree cover in Indonesia is increasing it means that the incentives for privately funded reforestation projects have to outweigh the benefits of cutting down trees. Indonesia isn’t there yet, but structures and initiatives are underway. One of the interesting government instruments to reverse tree loss with private funds is Ecosystem Restoration Concessions (ERC). ERCs aim to rehabilitate severely degraded land with reforestation, using private funds. Studies have shown that highly degraded areas are hard to convert to other agricultural uses, such as palm oil. ERCs facilitate private investment in reforestation and can contribute to the Indonesian government’s reforestation target of 2.5 million hectares. However, by the end of 2016 only sixteen licences covering 623,075 hectares had been issued. The government is working on issuing more ERCs by making the terms more attractive to private investors. A spectacular private investment initiative that aims to stimulate reforestation is the Tropical Landscape Finance Facility (TLFF, mentioned above). After TLFF’s first investment of USD 95 million in sustainable rubber, they will follow with more large-scale and long-term investments. A 2015 study into the investment potential for an Indonesian Green Economy has identified USD 50 billion in green investment opportunities in Indonesia. Investment opportunities in reforestation lie in agro-forestry (crops generate short-term cash flows while the trees grow and earn revenues in the long term); non-timber forest products (fruit, medicine, spices, coconuts, palm-sugar, nuts, natural oils, resins and fibres); sustainable forestry plantations; and of course commercial commodity plantations like palm oil, rubber and sago. IRRs for such projects, if managed well, can start at 8%. Alternatively, Indonesia has a very long coastline. This offers lots of room for the planting of mangrove and seagrass. It not only protects coastlines like that of Ancol in North Jakarta. It also cleans effluent from dirty rivers and sewerage and acts as an effective means to absorb carbon emissions, also called ‘carbon sequestration’. The Center for International Forestry Research (CIFOR) found that this ‘blue carbon’ as they call it can be grown to over 30,000 km2 with seagrass and 31,000 km2 with mangroves. Reforestation, replanting, and cultivation of fast-growing plants such as bamboo or elephant grass can be very useful instruments for carbon capture. While ‘carbon capture’ provides the environmental impact, the financial returns will come from the forest, the planted products or the ‘cleaning service’ provided by the mangroves. Financial returns from the captured carbon do not merit the effort since the price is under USD 0.5 per tonne of CO2. Most reforestation projects are currently undertaken with donor grants or charitable donations. Examples are the peatland restoration agency, planting mangroves in Sumatra, air seeding projects in South Sulawesi, the Paliyan Wildlife Reserve outside Yogyakarta, and the Green Wall project about 2 hours drive from Jakarta. To very roughly estimate the potential of reforestation investments over the next 5 years (USD 1.3 billion), the Mekar Team took President Jokowi’s campaign promise of planting 2 million hectares per year, of which about 0.5 million had been achieved by 2016 (25%) and assumed a cost of IDR 50 million per hectare giving a total investment of USD 1.8 billion over 5 years. We assumed all of this to be an impact investment and 75% to be privately funded. The food and beverage business in Indonesia is growing healthily as Unilever and IndoFoods will attest. With the growing income of the middle classes, this is likely to continue growing faster than the economy as a whole. The main issue is probably the growing portion of imports. Go to any warung, corner store or to any of the 30,000+ Alfamart or Indomaret stores in Indonesia and you will see the same Popmie noodles, potato chips, biscuits, chocolates and a plethora of overly sweetened drinks. Much is made by IndoFoods and Unilever. Most of what is on sale is an unhealthy combination of sugar, salt, carbohydrates and palm oil. It isn’t surprising that approximately 37% or roughly 9 million children under the age of 5 have stunted growth. Yet Indonesia produces an incredible variety of spices, vegetables and fruits. Most things grow well if planted in the fertile Indonesian soil. The problem is that they are grown haphazardly and or that the harvest never makes it to market and there are few facilities that can properly process and package this fresh food. The same goes for produce like coffee, cocoa, seaweed, seafood and more. Most of the vegetables sold in the larger supermarket chains are imported simply because of post-harvest losses, or because the domestic processing and logistics are not well organised. The impact opportunities are clearly in processing, storage and logistics. For example, a young startup company called Tanihub is now organising the delivery of fresh vegetables to supermarkets. Many supermarkets currently import most of their fresh vegetables. Tanihub only focuses on horticulture, because government interference in staple commodities makes business in those foodstuffs too unpredictable. Other investment opportunities lie in better processing and packaging, and in the arranging of exports, as is being done by companies like Big Tree Farms, East Bali Cashews and Sumatra Organic Spice. Organic farming is a niche but growing market due to increasing demand from the US, the EU and Australia. Organic farming needs and can easily absorb capital investments in processing and packaging equipment. Another opportunity for Indonesia is stevia, a zero calorie natural sweetener or sugar substitute. Stevia grows at a similar altitude as tea, a large-scale Indonesian commodity. Stevia has potential as a large-scale export commodity, but also as a substitute for sugar in Indonesia’s overly sweet soda drinks. Indonesia has the potential to grow and eat its own food, with plenty left to export. It needs to add value through processing, better storage and more efficient organisation and creating effective value chain solutions. USD 1.2 billion in impact investments is envisioned over the coming 5 years. The impact investment opportunity is based on the McKinsey forecast of food and beverage sector spending in 2012 and 2030. The Mekar Team derived the 2018 spending by interpolation, and then assumed that 5% of the 2018 spending would be reinvested in the sector for 5 subsequent years. 80% of this investment is assumed to be commercial or private investment, not state investment, and 5% is assumed to have an impact focus in areas like organic food and drink. The urgency and need to reuse and recycle has been embraced by the Indonesian government. Regulations are being made, targets being set and some investments are being made. However, several initiatives by the government to promote recycling only resulted in a 7.5% recycling rate in metropolitan areas, with an almost insignificant 1.9% national rate of recycling. Another initiative was to put a price on shopping bags in supermarkets, but this was met with protest from consumers and the plastic packaging association. The pilot, which did reduce plastic bag use, was stopped due to the complaints. Realising that it needs to take action, the government placed its bets on Waste-to-Energy plants to solve the problem. Jokowi therefore issued a Presidential Regulation (Perpres) No. 18/2016 to accelerate the development of waste-based power plants and incineration. This too was cancelled, this time by the Supreme Court who considered these plants unsafe since they emit poisonous toxins. Without waiting for government action, private investment in the company Polindo helped create 23 plastic shredding centres, mainly because it is a great business opportunity in a country with so much plastic waste. Almost 9 million tonnes of plastic waste is produced each year. Similarly motivated by business, the estimated 1.2 million ‘pemulung’ or scavengers in Indonesia make a living collecting cardboard, plastic, and aluminium cans. They bring them to waste intermediaries, who eventually sell them to waste recycling and processing plants. If each pemulung earns USD 3 / day, that is already a USD 1.3 billion in annual income. This excludes the additional revenues earned by the intermediaries and the value-adding shredders and recyclers. In Surabaya the plastic shipping pallet manufacturing company RePal, accepts any form of plastic, including thin shopping bags, to melt and press into shipping pallets. Rubber tyre recycling into rubber crumb is common business in the Philippines. Where the shredded rubber tyre crumbs fetch up to USD 500 per tonne. In Indonesia rubber recycling is a relatively new phenomenon. The 500 or so landfills in Indonesia are reaching maximum capacity without there seeming to be more money forthcoming to expand them. The best alternatives are to ‘reduce, reuse, recycle’ or burn. If we look at the opportunities by waste stream then the largest stream of waste by far is organic and agricultural waste (60%) which can be used commercially for making compost, paper, cardboard or MDF-like paneling and can also be used for electricity generation via incineration or anaerobic digesters that make methane. MPH (Merah-Putih-Hijau), a village-level initiative to make compost from organic waste, is being set up on the west coast of Bali. The plan is to reproduce this kind of initiative in other parts of Indonesia. Plastic waste represents 14% of the waste stream, but needs to be segregated and cleaned before recycling. The best quality empty bottles earn a scavenger up to IDR 2000/kg, yet when the bottle is shredded it can be worth IDR 8000/kg. Shredding adds a lot of value. Plastic waste can be used for various purposes like plastic recycling or plastic extrusion (melting and pressing) into all sorts of products like shipping pallets, surrogate wood flooring and panelling, new plastic bottles and bags. It can even be mixed into asphalt. Paper and cardboard is also collected by scavengers earning them around IDR 1500/kg. The waste supply chain for metals seems to work well since it is a valuable resource fetching a street price of IDR 9000/kg. Glass on the other hand has next to no value. There are many, albeit small, initiatives to recycle and upcycle. Investments are needed to (i) organise the supply chain, taking into account the income and valuable service of the scavengers; (ii) either do industrial-scale shredding and extruding or enable the local ‘Bank Sampah’ (Waste Banks) to each process and recycle via smaller decentralised processing machines. To make all of this really work well, it should be combined with a powerful marketing or awareness campaign on radio, internet and TV. At the World Oceans Summit in Bali in 2017 Luhut Binsar Pandjaitan, Indonesia’s Coordinating Minister for Maritime Affairs, pledged to invest USD 1 billion per year to curb Indonesian waste entering the oceans. With little other data to go by, the Mekar Team assumes that only 25% of this pledge may materialise. We also assume that 75% of this will invested using private capital, and 100% may be assumed to be an impact investment. Together over 5 years this comes to USD 940 million. In response to a chronic need for homes, Indonesia’s government launched the ‘One Million Homes’ programme in mid-2015. The goal of this initiative is to reduce Indonesia’s housing deficit considerably. By 2019, the government hopes to have slashed the nation’s housing backlog from 11.4 million homes to 6.9 million. However, realising that this target would not be met, the government increased the social housing budget from USD 0.9 billion to USD 1.15 billion. Still, USD 5 billion in investment will be needed to achieve the ‘One Million Homes’ objective by the end of 2019. To achieve its goals the government will need to invest and develop together with private sector companies. Despite various incentives and programmes being offered to boost development of low income mass housing, the Indonesian housing sector is still unable to keep pace with the growing population and demand. Indonesia needs around 400,000 new homes every year in addition to the massive housing backlog of 11.4 million units. Without a significant breakthrough, many fear that Indonesian millennials will not be able to afford to buy in urban centres. Much of the investment in affordable or social housing will be (semi) state funded. These investments will be subject to regulatory uncertainties, with likely land permit issues and market distortions due to subsidies. Therefore, without the right connections this will be a difficult industry to engage in commercial impact investment. Nevertheless, there is room for some USD 900 million in commercial investment in low-cost housing. Opportunities in low-cost housing are not only in large contracts. Innovators can design low-cost and more efficient homes using low-cost alternative materials, rainwater harvesting, clever cooling, solar collectors, etc. Much can be gained in design to reduce the cost of living in such a house for the new low-income owners. The impact investment opportunity of USD 0.9 billion is based on the McKinsey forecast of the housing sector spending in 2012 and 2030. The author derived the 2018 spending by interpolation, then assumed that 5% of the 2018 spending would be reinvested in the sector for 5 subsequent years. 75% of this investment is assumed to be commercial or private investment, and 33% is assumed to be an investment with social impact. 8% sector annual growth rate, higher than national GDP growth. Tourism is a large foreign currency earner for Indonesia and the main earner for islands like Bali and Batam, near Singapore. Some 14 million tourists came to Indonesia in 2017, almost 40% higher than 2 years earlier. Almost 50% of these tourist arrivals came to Bali. Indonesia has a treasure of beautiful nature and culturally interesting places to visit, yet besides Bali, Borobudur, Komodo and a few other places, many of the other astoundingly beautiful places in Indonesia are unexplored or have little infrastructure to cater to less adventurous tourists. For the Ministry of Tourism that launched the successful ‘Wonderful Indonesia’ advertising campaign, the priority is to replicate the success of Bali in at least five other locations. Possible places include Lake Toba in Sumatra and the atolls of South Sulawesi. Yet few developers seem willing to take the investment risk of developing the infrastructure such as a landing strip, roads and hotels to attract tourists, because the tourists may not come. Without the right access roads, these tourist developments are doomed to become abandoned. The Ministry is also aware of the environmental impact of tourism, and needs to find lower impact models. Exemplary locations in nature reserves are Raja Ampat in Papua or Komodo in Flores. Both of these locations have combined the strict control of a marine reserve with lower impact tourism, mainly diving and snorkeling. It is clear that if not managed properly these locations will slide downhill, as has happened to the Southern Pulau Seribu islands near Jakarta and Bunaken in North Sulawesi. These once attractive locations for the upper middle classes have become polluted, littered, and badly built with no plan to retain the location’s natural beauty. A large opportunity lies in ‘glamping’ (glamorous camping), where the owners of a beautiful plot of land, be it the owner, a land speculator or a farmer, can continue to own the land. The land is cleaned or cleared and luxury tents are installed with little to no permanent structures. This way beautiful new locations can be opened to limited tourism without a high capital expenditure on foundations, infrastructure and permanent structures. If tourism wanes, the tents can be packed up and moved, leaving ownership and nature more or less the way it was. This way no derelict crumbling hotels and buildings are left behind. The other opportunity is in developing vocational training centres at hotels outside the busy destinations of Java and Bali; where local people can be trained in the tasks and service levels expected by the growing number of tourists. With the expansion of tourist locations beyond Bali, it will be hard to find trained and experienced staff. The USD 780 million impact investment opportunity is based on the McKinsey forecast of the tourism sector spending in 2012 and 2030. The author derived the 2018 spending by interpolation, then assumed that 5% of the 2018 spending would be reinvested in the sector for 5 subsequent years. 75% of this investment is assumed to be commercial or private investment, and 10% is assumed to be an investment with a social or environmental impact. 5.4% sector annual growth rate. The textile and clothing (apparel) industry is an important industry for Indonesia, but its size and contribution to exports is slipping. In 2016 it employed nearly 3 million people, contributed 1.5% to GDP and represented 6.6% of manufacturing sector output. It earned 8.2% of Indonesia’s foreign exchange worth USD 11.8 billion via exports. Indonesia ranks in the top 10 largest textile and clothing producing countries. 2011 was a record year for the sector, it exported USD 13.2 billion. Since then exports have remained relatively stagnant at USD 12 billion. Overall the sector only grew between 1%-2% per year. The main problem is that the textile business is ruthlessly price sensitive, since large buyers will switch to new producers on a whim if the price suits them better. The main price increases were fuel, labour and imported cotton. Soon after Jokowi’s election to president he reduced subsidies on fuel prices, causing the price of fuel and electricity to rise steeply. Labour prices too increased, faster than those of competing countries like China and Vietnam. A further problem is that national production of cotton can only satisfy 1% of domestic demand, so 99% needs to be imported, which makes Indonesia very dependent on global cotton prices. Given that textiles are highly sensitive to prices, both on the demand and supply side, it means that local labour often loses out in this force field. Opportunities for impact investment in this area lie in textiles produced under fair trade and fair labour conditions. In Indonesia there only seem to be 12 companies that comply with the Fairwear Foundation standards. However, given the increasing demand for and awareness about labour standards and organic cotton in the textile industry it seems that the demand for such products still outstrips the supply. There is also room for impact investment in textiles made from bamboo fibre. Bamboo grows abundantly in Indonesia, and forms a potentially good organic and locally produced substitute for imported cotton. Although companies in Indonesia do produce bamboo-based yarn, no manufacturers in Indonesia make textiles from it. A quick glance on Alibaba.com will show you that while Chinese textile companies make bamboo cloth, there are no Indonesian companies producing it. The USD 760 million impact investing opportunity is based on the McKinsey forecast of the apparel / fashion sector spending in 2012 and 2030. The authors derived the 2018 spending by interpolation, then assumed that 5% of the 2018 consumer spending in the sector would be reinvested in the sector for 5 subsequent years. 100% of this investment is assumed to be commercial or private investment, and 10% is assumed to be an investment with social impact. The Ministry of Transport estimates that USD 190 billion in investments will be needed over the next decade to overhaul the transportation system in Indonesia. That is about USD 20-37 billion per year. Half of this is needed for roads, while the rest will be needed for railways, ports, airports, land transport and urban transport. 85% of passengers and 90% of freight are transported by road. By 2030 more of this should be moved by rail, sea or air. Rail is the main growth mode of transport and will carry about 15% of passengers and freight by 2030. The government’s plans also include the ambitious building of 31 new airports. The government hopes that 63% to 70% of these plans will be financed by the private sector, most it for ports, roads and rail. With investments in road, rail and harbour infrastructure lagging, it is little wonder that roads which carry people and cargo are extremely congested, especially in Java. This is exacerbated by the +/- 7 million new cars and motorbikes being added to the roads each year. Today some 130 million vehicles drive on Indonesia’s mainly single lane roads. In cost terms transportation makes up 15% of domestic freight costs and was 27% of GDP in 2013. Progress has been made since Jokowi was elected as many infrastructure projects are now under way. But is it enough? In terms of scale, transport infrastructure is the sector that needs the largest investment in Indonesia. Its functioning and cost has ramifications for most other sectors including agriculture, trade and food. And importantly, it can foster a more equal economic and income growth for provinces outside Java. Basically, all investments in better passenger and freight transportation that improve welfare outside the economic centres of Java or benefit the poor and lower middle classes can be considered an impact investment. The total investment opportunity over the next five years could be as high as USD 50 billion. The Mekar Team have conservatively estimated impact investment opportunities at USD 710 million over the next 5 years. The US 0.7 billion impact investment opportunity is based on the McKinsey forecast for transportation sector spending in 2012 and 2030. The Mekar Team derived the 2018 spending by interpolation, then assumed that 5% of the 2018 spending would be reinvested in the sector for 5 subsequent years. 33% of this investment is assumed to be commercial or private investment without needing a PPP structure, and 50% is assumed to be investment with social impact. 6.8% sector annual growth rate. All major Indonesian health indicators are moving in the right direction. An Indonesian born today can expect to live to the ripe old age of 69. Were you born in 1980 however, then you would have 10 years less to live. In 1980 you also had a 7% chance of dying as a baby. Today only 2% of babies born aren’t likely to survive. The market for healthcare is also encouraging. It is expected to triple from USD 7 billion in 2015 to USD 21 billion in 2019. Government spending is likely to represent 38% of the market, leaving ample room for commercial development and investment. The launch of the Healthcare and Social Security Agency known as BPJS (Badan Penyelenggara Jaminan Sosial) has boosted public access to healthcare services to around 70% of the population. The ambition is to be able to offer public healthcare services to 100% of the population by the end of 2019. Most doctors and medical specialists at state hospitals also have a second job at a private clinic to top-up their low state salary. There is clearly a large demand for these private clinics, since they are a common sight along the streets of all cities in Indonesia. Growing also are the franchises of Siloam, Medikaloka and SOS Medika clinics and hospitals for better off patients. The main health risks in Indonesia are related to smoking, diet, the lack of proper sanitation and water facilities in rural areas, and the geographic complexity of the archipelago making it difficult to have enough nurses, doctors and specialists within close range. The latter results in a high 126 maternal deaths per 100,000 live births. The poor diet of less wealthy Indonesians means that 37% of children under the age of 5 have stunted growth. That’s 9 million children who are malnourished. 40% of Indonesians over the age of 15 were smokers in 2016. This has repercussions for coronary diseases, cancer, stroke and other related conditions. Opportunities for impact investment are formed by the combination of (i) the ambitious government healthcare goals; with (ii) the prevalence of serious health risks; and (iii) the geographical spread of the country. Mobile apps that for example offer doctors on-call; certified clinics; or allow a doctor to do a diagnosis by video call. The USD 560 million impact investment opportunity is based on the McKinsey forecast for healthcare sector spending in 2012 and 2030. The authors derived the 2018 spending by interpolation, then assumed that 5% of the 2018 spending would be reinvested in the sector for 5 subsequent years. 75% of this investment is assumed to be commercial or private investment, and 50% is assumed to be an investment with social impact. The other 50% investment will probably be in high-end hospitals and clinics which are not affordable for the majority. 4.9% sector annual growth rate. While telecommunications in itself is not usually seen as an impact investment, it is actually a key enabler, improving life for inhabitants of the remotest islands of the Indonesian archipelago. Services that are enabled by mobile telecommunications include branchless or agent banking via smartphone applications, or helping the unbanked gain access to financial services. Ordering and logistics can be made easier with mobile communications. Telecommunications can be used to pass on valuable information about harvest volumes, crops and quality, thereby reducing post-harvest losses. It can facilitate land surveying and registration. And it can equip large assets such as trucks and machinery with sim-cards to track their GPS location. Indonesia has over 100,000 towers for mobile transmission. 55% are operated by independent tower operators like TOWR, TBIG and STP, while the remainder are in the hands of telecommunication companies like Telkomsel, Indosat and XL. However, most companies set up towers in densely populated areas first. In order to reach the underserved population of Indonesia more investments will be needed in off-grid base transmitter stations (BTS). Net1 Indonesia for example uses 450 MHz frequency with 4G LTE technology. These transmission towers have a reach of up to 100 km and are especially well-suited to Indonesia’s geography. Combining these 450 MHz towers with solar PV charging and batteries means that the usual diesel generators which are often used at such distant towers do not need to be refueled, nor can the diesel be stolen as often happens. A 2013 study suggests that some 15,000 off-grid towers could be retrofitted with solar charging, at an investment of USD 526 million or USD 35,000 per tower. Other alternatives are partnerships like Google’s project Loon with XL, Telkomsel, Indosat and Axiata, that aims to launch balloons 20 km high, that can provide internet access to any LTE-capable smartphone. The balloons have a transmission radius of 40 km, and Google estimates that 6000 balloons are needed for Indonesia’s coverage needs. It is unclear if this project will succeed since the government is concerned that it may lose sovereignty over its own data. The USD 200 million impact investing opportunity in telecommunications is based on the McKinsey forecast of the transportation sector spending in 2012 and 2030. The Mekar Team derived the 2018 spending by interpolation, then assumed that 5% of the 2018 spending would be reinvested in the sector for 5 subsequent years. 75% of this investment is assumed to be commercial or private investment and 10% is assumed to be an investment with social impact. The Indonesian government recently launched a campaign called Waste-Free Indonesia by 2020. It also announced that marine plastic waste must be reduced by 70% before 2025. This is a noble target which will be tough to achieve. The World Bank estimates say that every Indonesian produces 0.85 kg of waste per day, up from 0.76 kg per person in 2010. That’s 222,700 tonnes per day or 22,270 trucks per day. Per year this is 81 million tonnes of waste. Not only is the population increasing, but also the amount of refuse produced per citizen is growing. Indonesia is now probably closer to or over 1 kg per person per day. Of this waste 58% is organic waste (which could be used for compost or biomass energy); 14% is plastic; 9% is paper and cardboard. Processing this waste in the larger cities cost the state USD 480 million for the 2010-2014 period, with most waste ending up in one of 500 landfill/dump sites. At the village level there are also paid waste collection programmes which bring the refuse to incineration or dump sites. In 2006 21 million tonnes were collected as municipal waste, but 43% of all waste, around 16 million tonnes, was not collected. If today’s volumes of uncollected waste are similar, then 61 million tonnes, also 43% at current rates, is currently uncollected. Getting rid of this uncollected waste is a problem to be solved at the village level where it gets buried, burnt or thrown in rivers, and then ends up in the sea. It is clear that waste management in Indonesia is at crisis level. In 2015 the Waste Management Director Sudirman of the Ministry of Environment and Forestry announced that there were so many problems with regards to waste management in Indonesia that he was considering declaring a state of emergency. He elaborated that 69% of waste ended up in landfills, but that only 10% of those landfills had sanitary landfill technology. Without proper lining, the landfill’s chemicals leach into the ground and affect the groundwater. The last study into Indonesian solid waste statistics by the Ministry of Environment was in 2008. This study concluded that around 56% of the population are served by waste collection systems. The best collection in and around Jakarta serves 68% of its citizens. Much of this ends up in huge landfills like the one in Bekasi, east of Jakarta. Interestingly, the Bandung Institute of Technology (ITB), found that if waste collection is decentralised, then the reuse and recycling portion can increase to around 95%. Thanks to poor waste management in general, some 80% of plastic waste, or 1.3 million tonnes per year, is ending up in the ocean according to the Indonesian Minister of Environment, Siti Nurbaya Bakar. After China, Indonesia is the second largest ocean polluter in the world. Clearly much needs to be done by the state or state-funded facilities to improve waste management. The state can also help commercial ventures solve these problems by providing regulation and enforcement. Once you have predictable rules, limits, fines and enforcement then it makes commercial investments feasible. One example would be to implement bans and fines on single use plastic or to mandate all towns to have composting facilities to cater for the 60% volume of organic waste. Some of the impact investment opportunities have already been described in the section on recycling. The privately funded investment opportunities in the area of waste collection are relatively small because it is dominated by municipalities. Commercial ventures are possible as vendors to municipalities via tenders for government contracts. These contracts could include waste collection, waste processing, the construction and management of sanitary landfills, waste-to-energy plants, biomass energy plants, etc. Commercial and private waste collection and processing is already being run by companies like Waste4Change and EcoBali, but due to their focus on upper class/expat customers who pay to have their waste collected the market size and impact is relatively small. The sale and management of waste separation trucks, household composting or separation bins could also be operated commercially, with the support of municipal contracts. The estimate of USD 1.8 billion in waste collection revenues in 2012 is based on the state budget for waste and on informal sector revenues. The government’s budget in 2012 was USD 480 million. But the informal sector revenues were probably larger. There are roughly 1.2 million ‘scavengers’ (pemulung) in Indonesia who probably earn an average of USD 3 per day. Together they earn roughly USD 1.3 billion. If we combine the state and informal revenues of USD 1.8 billion and compound this by a conservative 3% growth per year through to 2030, it suggests that waste collection revenues in 2030 could be USD 3 billion. Of this ‘spending’ or revenues, 5% is assumed to be reinvested for 5 years. Every Dollar or Rupiah is considered an impact investment. However we assume that only 20% is likely to be a commercial investment. This together suggests there is room for USD 100 million in impact investments over the next 5 years. 5.6% sector annual growth rate. Personal items is a very broad category of non-food household consumer products. This can range from handicrafts and art to furniture, mobile phones and shampoo. McKinsey estimates that spending on personal items in 2012 was USD 6 billion, growing by 5.6% per year to USD 16 billion in 2030. The bulk of this spending will come from the middle and upper classes. McKinsey concludes that Indonesian consumers are very loyal to their brands and that they will choose to order online via e-commerce sites more frequently in the future. Many these products are imported from China unfortunately. Neglected by the online e-commerce boom are the incredibly skilled artisans of Indonesia that can make everything from batik clothing to furniture and handicrafts. Unfortunately, most of these products don’t get marketed and sold well. Government-sponsored agencies such as SMESCO in Jakarta are like a museum of Indonesian products gathering dust. What is needed at the the end of the day are inspiring and trendy artists like Indieguerillas, designers and foreign product developers and marketers like John Hardy, or online e-commerce platforms like Qlapa. These appeal to modern consumer tastes and do a far better job of getting the attention of Indonesian consumers and international trend setters. It is in this messy commercial ecosystem where the top Indonesian artisans get a chance to flourish and earn good money. Qlapa.com recently received an investment from the Aavishkaar Frontier Fund. The impact investment opportunity in personal items of USD 100 million is based on the McKinsey forecast of the personal items sector spending in 2012 and 2030. The Mekar Team derived the 2018 spending by interpolation, then assumed that 5% of the 2018 spending would be reinvested in the sector for 5 subsequent years. 100% of this investment is assumed to be commercial or private investment and 5% is assumed to be an investment with social impact. Over the next five years Indonesia has USD 23 billion in investment opportunities to offer impact investors. Of the 17 sectors covered in this article the industries with the most potential are finance, education, food and beverages, tourism and agriculture and fisheries. These five sectors offer the greatest potential because of their size, growth prospects and relative lower risk of government intervention. Clearly, this conclusion is highly generalised. There are plenty of opportunities that have growth prospects and avoid the regulatory or other risks in all the industries discussed in this article. Take for example the highly regulated healthcare sector: a startup that approached us recently wants to build an app for doctors on call or on demand. Such a startup has plenty of growth potential and faces no regulatory constraints. The top 10 impact industries with the…. If you are interested in impact investing in Indonesia we recommend that you work with an investment company based in Indonesia. This is because in Indonesia it is relationships that prevail. Mekar Impact Fund combines strong Indonesian relationships at local and national levels along with knowledge and experience of impact investing internationally. In the second half of 2018, Mekar Impact Fund will be raising funds to start making impact investments in early 2019. You may request the company’s prospectus via impactfund@mekar.id. 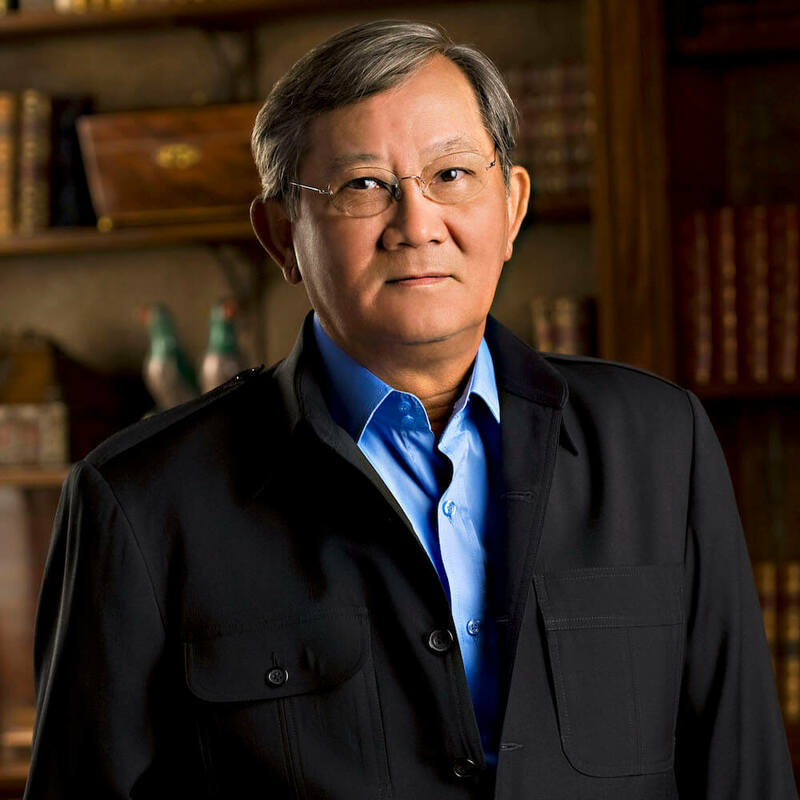 One of Indonesia’s most respected businessmen, Putera Sampoerna is a visionary entrepreneur, a family man, and an ex-smoker with an appetite for long-term investments. He grew his grandfather’s clove cigarette (kretek) business HM Sampoerna and sold it to Philip Morris in 2005 for over USD 5 billion. With the proceeds he expanded his other businesses as a real family business, together with his wife Katie, his son Michael and daughter Michelle. They grew Sampoerna Agro (palm oil and sago), Samko Timber (forest plantations and plywood), Bank Sampoerna (SME finance), The Putera Sampoerna Foundation, Sampoerna Academies & University and Sampoerna Telecommunications. The author has helped the Sampoerna family to grow Mekar.id, a financial technology company that finances small businesses in Indonesia. Thierry’s quest is to get more finance to businesses that create jobs and have a social or environmental impact. His ventures use technology to enable scale, engagement, communication and efficiency. He is CEO of Mekar (PT Sampoerna Wirausaha). Mekar finances small Indonesian businesses. Via its P2P crowdfunding platform it allows wealthy Indonesians to finance new enterprising Indonesians. Mekar is an initiative of Putera Sampoerna and his foundation. Through his other ventures, BIDx.net and BiD Network, Thierry set up online matchmaking systems between investors, mentors and entrepreneurs in emerging markets. 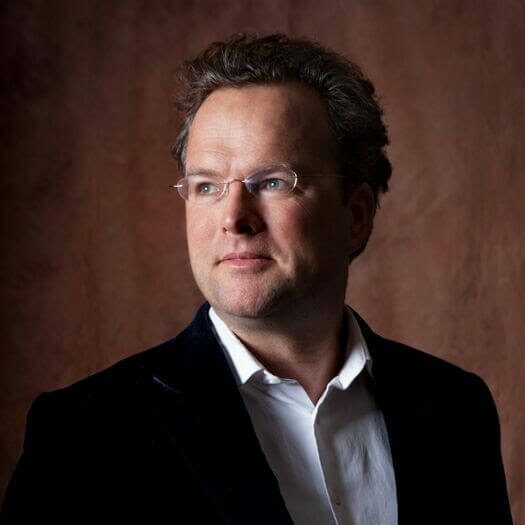 Prior to that he was COO at EcoSecurities, the world’s largest carbon trading company and was Asia’s business developer for BSO-Origin, one of the Netherland’s biggest IT companies. Watch his TEDx talk on youtube.com. Mekar provides access to finance for small business in Indonesia. Mekar – is an online (P2P) micro-lending service offering investors the possibility to finance small businesses, mainly run by women, and to help them grow. The investors currently earn in excess of 12% p.a. on their investments. 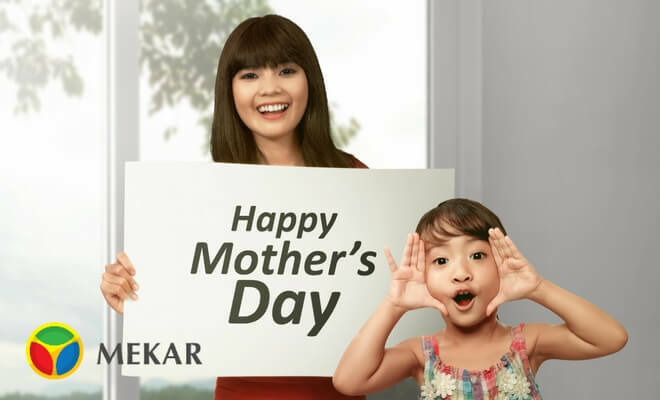 Visit https://mekar.id. MoMaju – offers agents an app to find small businesses that need finance. MoMaju sells these leads to financial institutions. https://momaju.id. Mekar Impact Fund – is raising funds of approximately USD 40 million to invest in promising Indonesian companies that have a social or environmental impact. This fund is not yet established. It expects to make its first investments at the end of 2018. https://mekarimpact.id. The author can be contacted via impactfund@mekar.id. 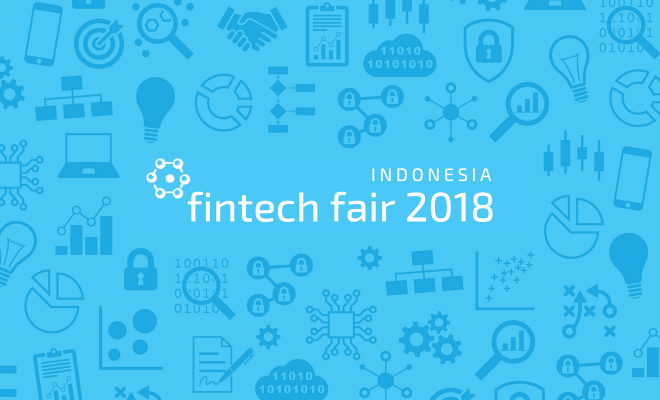 Covering the latest development in fintech, financial services and the rising trend towards safe, profitable and impactful P2P lending in Indonesia.